So you made that New Year's resolution. The one that's all about eating healthier for a better... Daaaaamn. Is that a double cheeseburger?! Yeah, we get it. Distractions may be everywhere, but healthy food doesn't have to be tasteless. 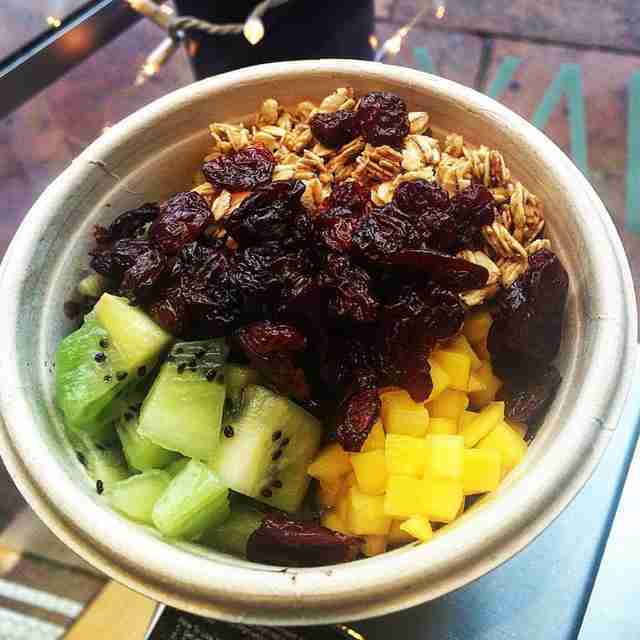 Instead of giving in, give the nutritious (and delicious) eats at these spots a chance. 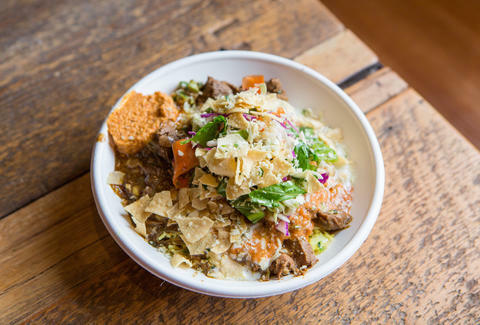 Skip your go-to lunch burrito and try out this flavor-packed fast-casual joint instead. Biju's gives southern Indian cuisine a fresh makeover with it's build-your-own-bowl concept. There's no need for mounds of cheese or sour cream here. Instead, you'll choose from ingredients like coconut curry chicken, spiced lentils, and various chutneys to create a meal that's so satisfying you'll forget that this food is actually good for you. When you vow to eat healthy, visions of salads start running through your head. Boring, bland, veggie-loaded salads. But it doesn't have to be that way. Salads can be tasty too -- even without resorting to less-than-ideal add ons (we're looking at you, bacon crumbles and ranch dressing). 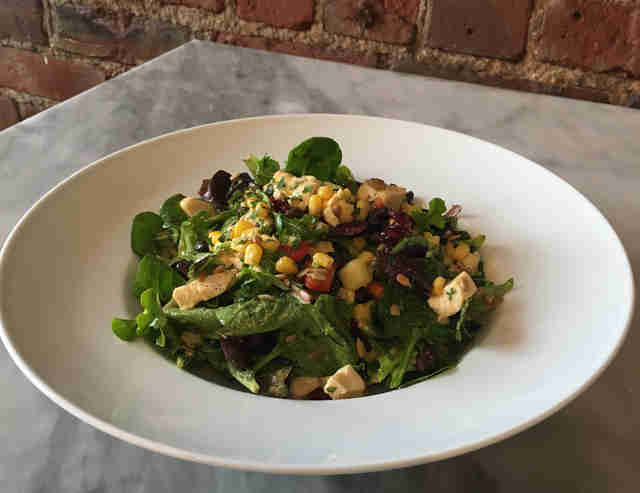 While not everything at this Wash Park neighborhood favorite can be considered healthy (you should probably skip the croque madame for now), you can count on their ever-changing salad du marchè as a fresh, filling option that'll keep your goals on track. Though it's location and modern ambiance might make True Food seem like a place designed only for those who wear expensive yoga pants to actually attend a yoga class, don't be deceived. The menu here is jam-packed with options for any appetite -- even yours, despite your current craving for anything fried and topped with cheese. 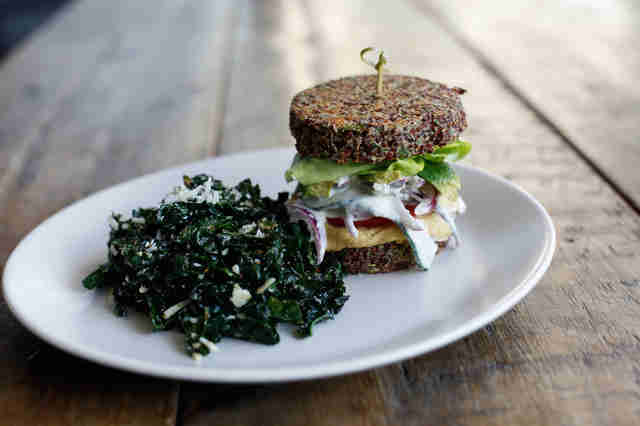 Even the vegetarian-friendly items like the "inside-out" quinoa burger are so addictive that you'll probably be back for it next sooner than later. If you've never had shabu shabu before, you've been missing out. This traditional Japanese dish combines the comfort of flavorful broth-based soups like pho, with the interactive, cook-it-yourself aspect of places like The Melting Pot. So yeah, it's amazing. 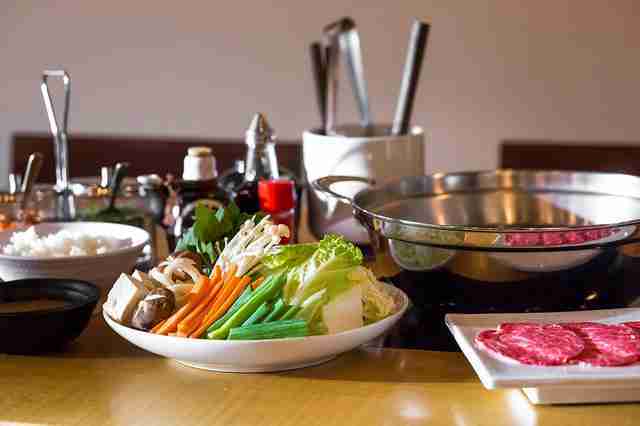 But unlike the standard pho or ramen, Kobe An Shabu Shabu serves up premium, locally sourced meats and veggies for you to cook at your table in steamy broth. There's no noodles, only rice served alongside (go for the brown) as well as a variety of oils, sauces, and condiments so you can customize your shabu shabu to taste. Just because you're now eating healthy doesn't mean you'll suddenly stop craving dessert. 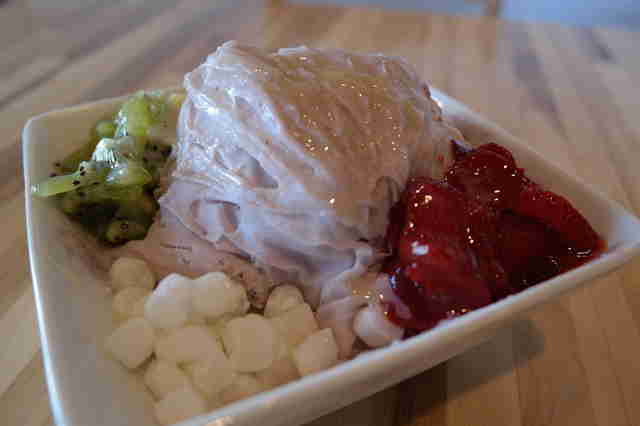 And guess what, that's OK. As long as you're taking your sweet tooth to SNOWLAB for Taiwanese-style shaved snow. This dairy-free frozen dessert option is light and airy which means even the rather large-looking regular-sized option only packs around 200 calories or less. Choose your base flavor from options that range from the expected (think strawberry, mango, and vanilla) to the more exotic (black sesame, anyone?) then top away. Those watching calories should skip the condensed milk and oreos, but go ahead and load up on the fruit for a treat that's 100% diet-friendly. The Mediterranean diet is often lauded as one of the healthiest in the world. 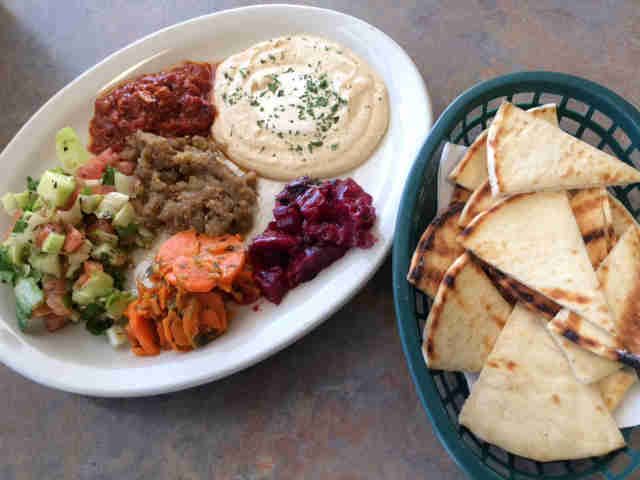 Despite being around for two decades, this place is still a hidden gem where you can find plenty of resolution-friendly Mediterranean options made by executive chef and owner Yaffa Hanouna herself. From the Greek salad and freshly made hummus to the savory shakshuka, this is comfort food that won't require extra gym time. Feeling the need to cheat on your resolution? 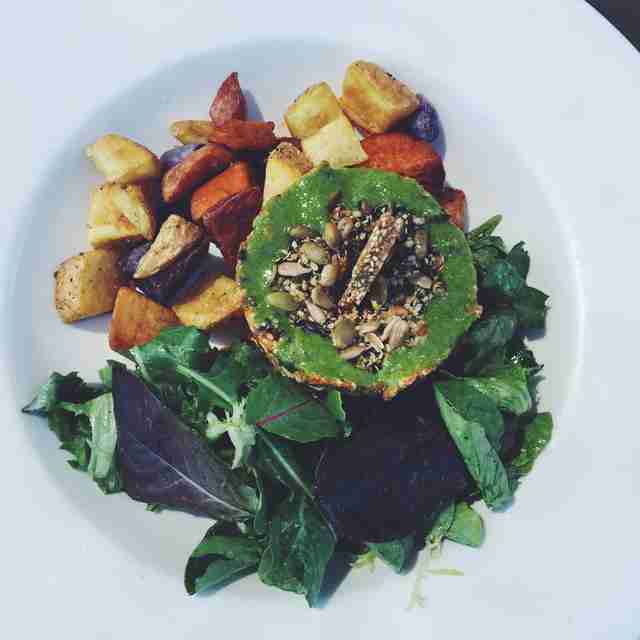 Head to this vegan/vegetarian restaurant. Why, you ask? Because you can get eats like their veggie-loaded seasonal savory waffle and breakfast burritos with additions like quinoa and kale which lets you feel like you've been bad without actually surrendering to temptation. 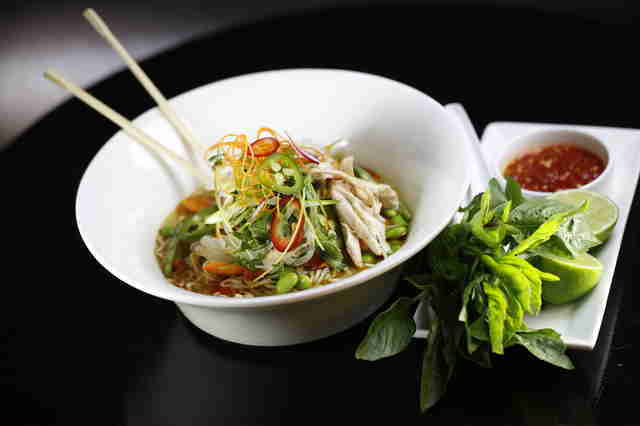 Another build-your-own-bowl outpost, this one takes its flavor inspiration from Asian cuisine. You can create your own option from scratch or start with your choice of pre-set bowl combinations like the OG Colorado with roasted carrots, quinoa, green chili, avocado, and pumpkin seeds. Then pick your base (rice, noodles, or salad), protein, and dressings for a meal that's loaded with all those veggies you're supposed to have along with all the flavor that you really want. 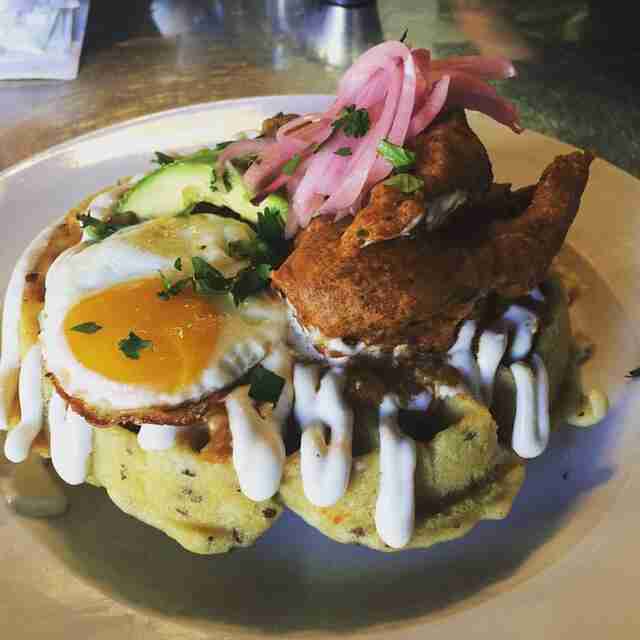 If you've got any kind of social life in Denver, brunch is hard to avoid. Long waits are basically the standard on the weekends since everyone flocks to this beloved yet not-so-diet-friendly meal. But fear not! Just because you've resolved to eat better doesn't mean you need to skip out on your favorite Sunday tradition. Root Down's got great options for all dietary choices on their regular menu, too, but at brunch these options are especially welcome. While your buddies can score favorites like huevos rancheros and steak & eggs, you can order up a healthier choice like the tofu "scrambled." Breakfast is the most important meal of the day. It's science. Especially when you're trying to stick to a better diet. Skip your early morning eats and you'll be caving and ordering a meat lovers pizza by noon. Instead, head here for yet another make-your-own-bowl option, this time featuring breakfast food like steel-cut oats and yogurt topped with fruits, nuts, seeds, granolas, and more. And when the warm weather finally returns, remember to stop in for one of their artisan ice pops made with real fruit and natural sweeteners. Molly Martin is a freelance writer in Denver, Colorado who's trying to start the year healthy too -- although her new pasta maker isn't helping. Follow her @mollydbu on Twitter and Instagram to see how long she sticks to her resolution.